WINNER of the McNally Robinson Books for Young People Awards !! Meet Jai Jai from the Beary Nice Orphanage! Jai Jai is a curious little panda cub who lives at the Beary Nice Orphanage. He dreams of having a superhero father and a furever family. Will his dreams come true? 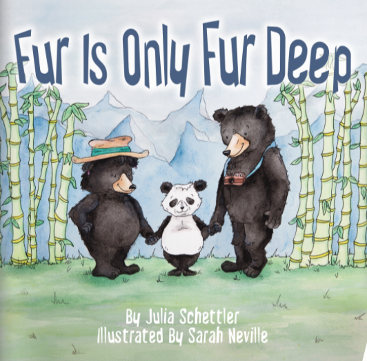 Come along with Jai Jai as he discovers that fur is only fur deep. With its clear focus on international adoption, inclusion, and seeing past differences, this beautifully illustrated children's book is perfect for both the home and the classroom.